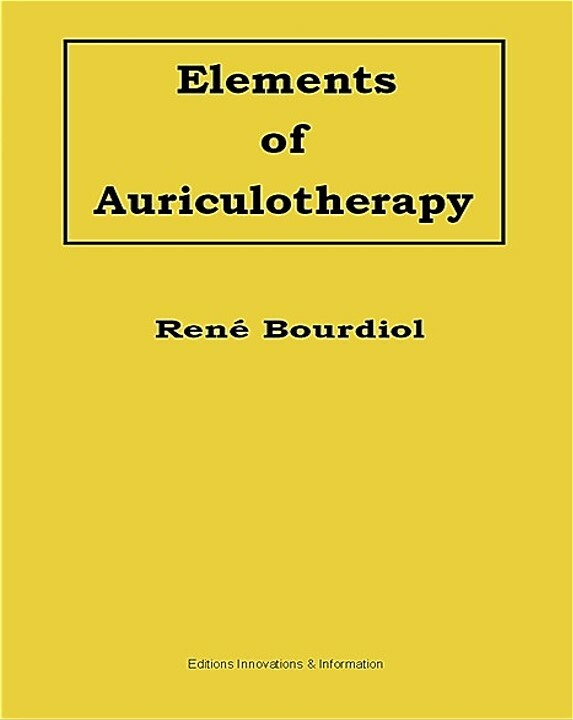 Electro-Stimulator Devices » Auriculotherapy Seminars | Raphael Nogier, MD | Auriculotherapy Training in the U.S.A.
Over the past few years I have received many emails and phone calls seeking my advice on what is the best electro-stimulator for auriculotherapy. 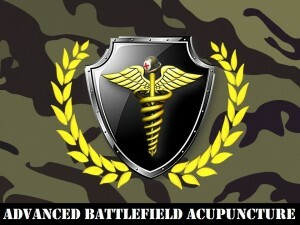 My answer has always been that it must first and foremost be safe and accurate. I believe that any device you choose must have a differential point detector. This will detect both positive and negative points. 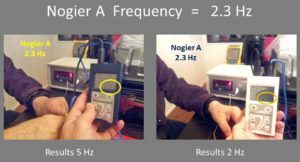 The most important feature the device must have (other than safety and accuracy) is the ability to treat all the Nogier’s frequencies. (Frequency A | 2.3 Hz. 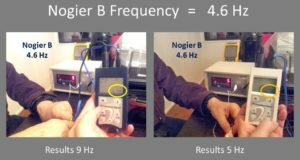 Frequency B | 4.6 Hz. 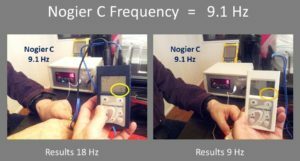 Frequency C | 9.1 Hz. Frequency D | 18.3 Hz. 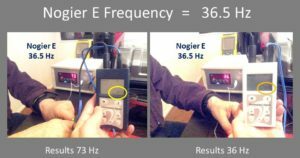 Frequency E | 36.6 Hz. Frequency F | 73 Hz. 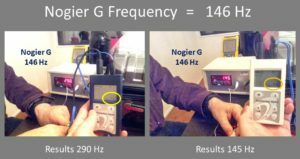 Frequency G | 146 Hz). About three years ago I was looking for a good quality device that I could sell at our seminars. 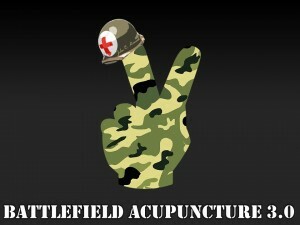 I happened by chance to find a website (I believe it was Go-acupuncture) that was selling the electro-stimulator that I picked up in Europe a few years back for a fraction of the price I paid. The price was $150 US dollars and how could you pass that up, I thought (as of 2018 at you can buy one for $133 US dollars at Aliexpress, www.aliexpress.com/item/Pointoselect-Digital-point-finder-for-auricular-and-body-acupuncture-with-integrated-PuTENS-stimulation/1469888383.html). 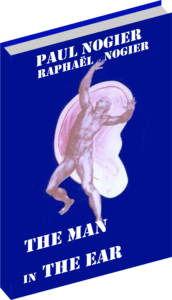 My plan was to buy a bunch of them and give them out for FREE to all the students who signed up for Dr. Nogier auriculotherapy seminars at Johns Hopkins University in Maryland. A good friend of mine who happens to be a medical doctor with a PhD in electrical engineering as well told me to buy just one first, so we could test it out on his oscilloscope (oscilloscope is an instrument used to display and analyze the waveform of electronic signals. In effect, the device draws a graph of the instantaneous signal voltage as a function of time). So, this is what we did. When I received my Pointoselect in the mail about a week later I first noticed that it was blue, not white like the one I got in Europe. I was thinking the worst, oh no I bought a Chinese reproduction device based off the original one I bought. I arrived at my friend’s home in tow with 2 Pointoselect devices, a blue one and a white one. 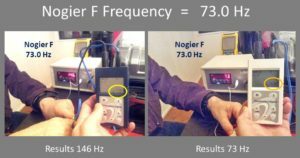 We tested both Pointoselect devices and measured the results of each one based on the 7 Nogier frequencies. I must state here that the pictures I am proving below are not very clear. That is because when I powered up the blue Pointoselect the device was set to 200 volts out of the box. I happened to touch the tip of the device and it shocked me to the point where I had a numb right hand for several months. I had a hard time taking pictures of our results with a numb right hand. Little did we know the worst was yet to come. 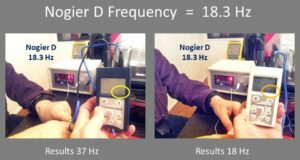 I started off with my white Pointoselect, I dialed in Nogier’s A frequency (2.3 Hz) and recorded the results then took a picture (I took a picture of each reading). I then went to dial up the rest of the frequencies, B though G one at a time then record and photographic the results. My White Pointoselect DT had an accuracy of greater then 99% for all of the Nogier frequencies. I then tested my blue Pointoselect PT in the same matter as I white Pointoselect PT. The results were not what I or my friend expected. For each frequency I dialed tested the device did was doubling the frequency that it displayed devices LED screen. My friend checked his machine and it was working properly. I then reran the test and once again EVERY frequency that we recorded it doubled. We did all 7 Nogier preset frequencies were doubled as to what the device was set too. We then deiced to dial in a random frequency and see if the same thing would happen. My friend came up with the idea to pick two numbers between 1 and 100. We then would assign a number to each device and dial in that frequency number to the device and record the results displayed. Without fail the blue Pointoselect doubled the frequency it manually dialed too (50 Hz for the Blue device read 100 Hz on the oscilloscope machine. 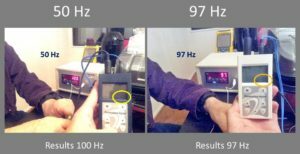 The white device was dialed to 97 Hz and it read 97 Hz on the oscilloscope). After one numb right hand and $150 dollars wasted we decided to stop the test. 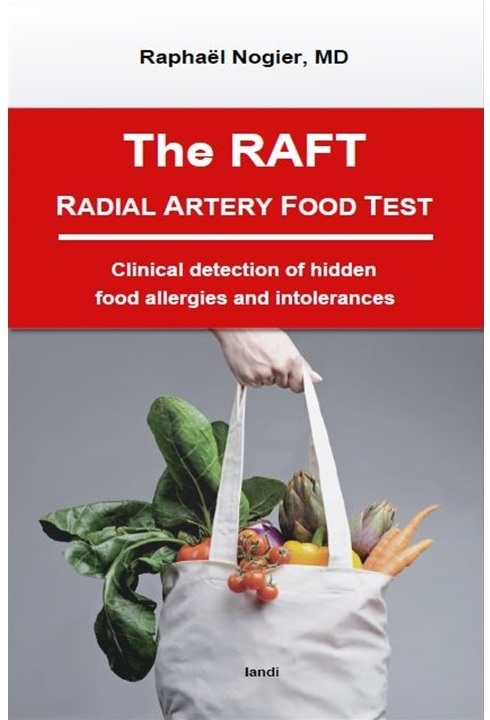 Below I have provided the pictures and results from our testing of the two Pointoselect devices. I really wished that the blue device was as accurate as the white Pointoselect from Germany. This was my personal experience and I wanted to share it with you in case you ever ask this question before purchasing an electro-stimulator. I guess that old adage still holds true today; you get what you pay for.